Anthony Joshua accepted that Alexander Povetkin had been a worthy opponent after he had beaten the Russian at Wembley Stadium. 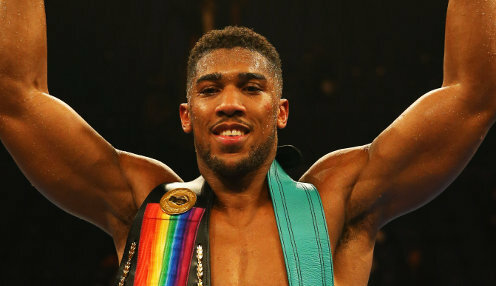 Joshua retained his IBF, WBO and WBA heavyweight titles by stopping Povetkin in the seventh round on Saturday evening. Povetkin was sent to the canvas and, when he got up, was knocked onto the ropes by a left hook which prompted referee Steve Gray to stop the bout. "Povetkin is a very tough challenger, he proved that with good left hooks and counter punches," the British boxer said afterwards. "I came in here to have fun and give it my best. I knew he was strong to the head but weak to the body. I was just mixing it up. "It could have been seven, maybe nine, maybe 12 rounds to get him out of there, but the ultimate aim was to be victorious." WBC champion Deontay Wilder and Tyson Fury will fight on 1st December while Joshua is scheduled to face an as yet unnamed opponent at Wembley on 13th April. Fury is 6/4 to beat Wilder who is 4/7 to triumph. Meanwhile, Luke Campbell won his WBC lightweight world title eliminator against Yven Mendy by a unanimous points decision.